I love growing a few herbs out on the back deck. 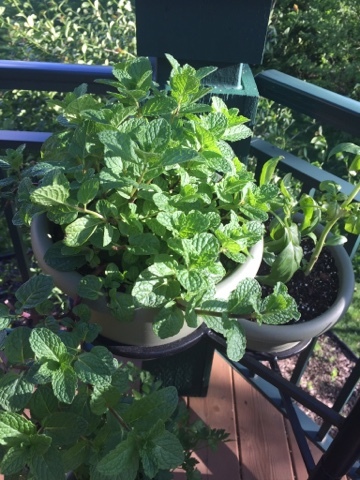 Mint is one of my favorites as it's a base of two of our favorite summer cocktails. Blackberry and Meyer Lemon Gin and Tonics - I came across this cocktail recipe on the food blog, Spoon Fork Bacon . Check it out, it's an amazing blog! The photography of their food makes me drool! I don't care for a basic Gin and Tonic but this cocktail is so much more, it's so refreshing! 2. 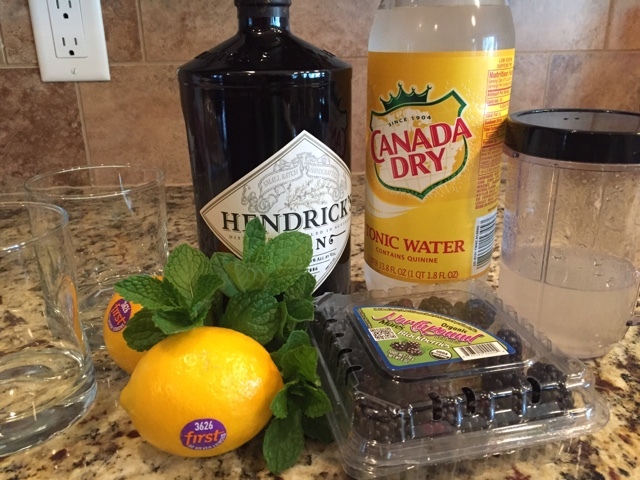 Place 3 blackberries, 5 mint leaves, juice of ½ Meyer lemon, and 1 tablespoon simple syrup in each glass and muddle together. 3. Fill each glass with ice, followed by gin. Top off each drink with tonic water, stir and serve. 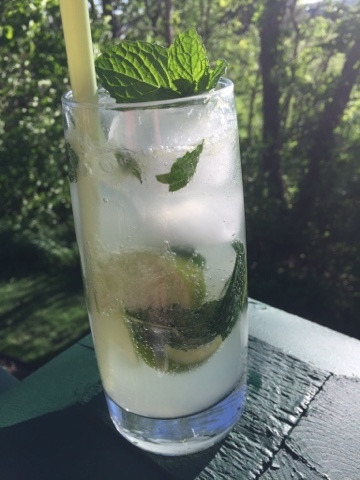 Mojito - This recipe comes from Allrecipes.com. 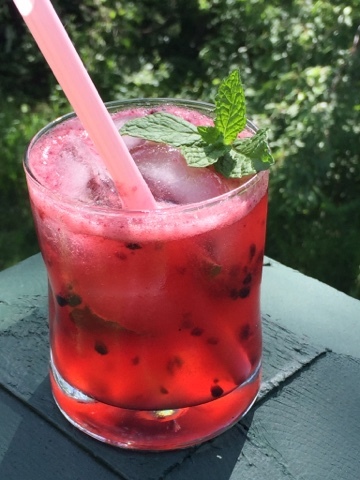 I love a good basic mojito but when I have fresh fruit (strawberries, pineapple, blackberries or raspberries) in the house I like to muddle a few in with the lime and mint. It taste like summertime in a glass. Place mint leaves and lime wedges into a tall sturdy glass. Use a muddler to crush the mint and lime to release the mint oils and lime juice. Add the simple syrup and rum. Fill the glass almost to the top with ice and fill with club soda and stir. 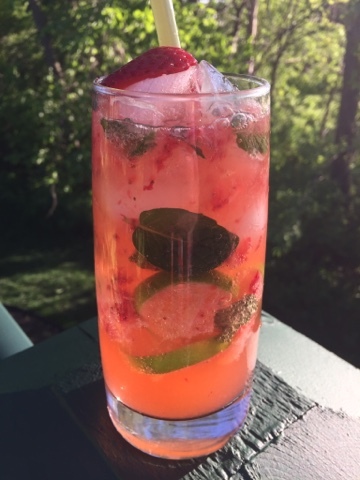 Strawberry Mojito - If adding fruit, muddle a few pieces with the lime and mint.